Ministry of New and Renewable Energy (MNRE) is responsible for the development of small hydro projects up to 25 MW station capacity. The estimated potential of power generation from small hydro projects (up to 25 MW) is about 20,000 MW. So, far nearly 4300 MW SHP capacity has been harnessed at 1075 sites all across the country. 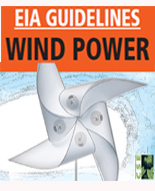 The specific objectives of these guidelines are as: To facilitate the scale up of Small Hydro Power (SHP) capacity addition and achieve economies of scale; Promote competitive procurement of electricity from Small Hydro Power (SHP) Projects by distribution licensees; Facilitate transparency and fairness in procurement processes; Facilitate fulfillment of Renewable Purchase Obligation (RPO) requirement of the obligated entities; Facilitate reduction of information asymmetries for various Bidders; Protect consumer interests by facilitating competitive conditions in procurement of electricity; Enhance standardization and reduce ambiguity and hence time for materialization of projects; Provide flexibility to sellers on internal operations while ensuring certainty on availability of power and tariffs for buyers; Bring uniformity in tendering by various agencies including State utilities which will facilitate investment; and Ensure bankability.